Verry friendly and helpful owners.The facility was more that we expected. We all love the privacy and the silence of this place. Highly recommend for relaxing holidays. Liked everything. Great facilities, great pool and very private. Great help from the hosts but rarely needed them. Would definitely recommend the villa and would stay here again. Great house for a family. Very good facilities and a nice swiming pool. The owner Vasilis takes good care of erverything and help to make your stance wonderful. I highly recomend it. A must stay! Had everything you could ever need and more. We (me and husband) stayed there with our 13 month old son and cousins (two couples and one single) we had so much space. 2 bathrooms to share between us all. Two kitchens. Clean and tidy and so many extras! Coffee machine, water and drinks in the fridge. Loads of space by the pool, bbq, Bath towels. The hosts were attentive and lovely. We will be returning to the villa. The establisment was well aranged and the view was amazing. Also, the host was helpful. La gentillesse du propriétaire, une vue extraordinaire. Lock in a great price for Villa Serenity – rated 9.4 by recent guests! Villa Serenity is a villa with a garden, located in Matsoukáta in the Kefalonia Region. The air-conditioned unit is 14 mi from Sami, and guests benefit from free WiFi and private parking available on site. The kitchen is fitted with a fridge. 6 TV devices are available. Other facilities at Villa Serenity include a seasonal outdoor pool. Fiskardos is 1.9 mi away, Foki beach is 1.2 mi and Emplisi beach is 2.5 mi away. Kefalonia Airport is 23 mi from the property. 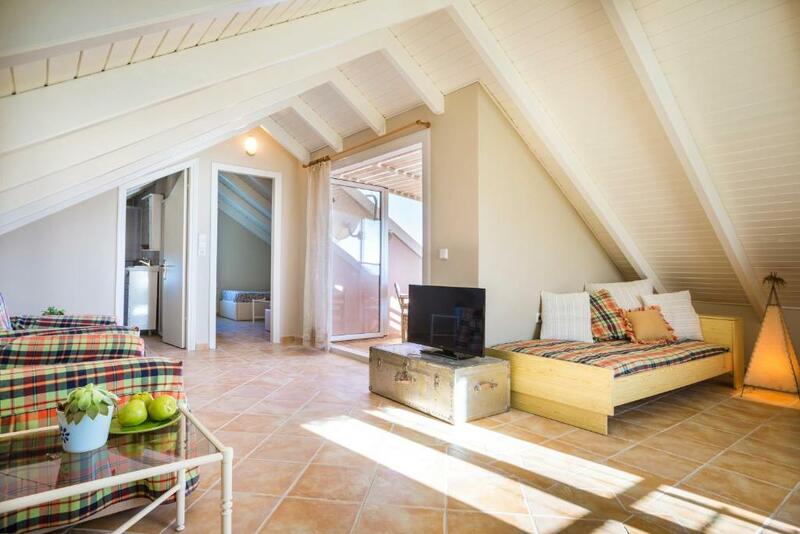 This property also has one of the top-rated locations in Matsoukáta! Guests are happier about it compared to other properties in the area. 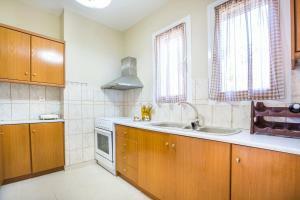 This property is also rated for the best value in Matsoukáta! Guests are getting more for their money when compared to other properties in this city. When would you like to stay at Villa Serenity? This villa has a balcony, air conditioning and mountain view. House Rules Villa Serenity takes special requests – add in the next step! Please inform Villa Serenity of your expected arrival time in advance. You can use the Special Requests box when booking, or contact the property directly using the contact details in your confirmation. The basement had a smell associated with humidity and a closed space.